Maha Shivaratri is one of the most important festivals celebrated by Hindus and, especially by the Shaivites in particular, which displays their utter religious faith and spirituality. This auspicious occasion falls every year on the fourteenth day or Chaturdashi day of New Moon fortnight during the Hindu month of Magha ( it is Phalguna or Phaagun for north Indians). It is generally in the middle of February or the beginning of March month as per the English calendar. It is believed that Lord Shiva is very much fond of this night and he appeared in the linga form (just like a pillar with no form) during this auspicious night. So people began worshipping him in this form from that day every year to celebrate this great occasion. Another story is that when the milky ocean was being churned to obtain nectar by the angels and devils so as to attain immortality, poison got produced from the ocean before the nectar, and Lord Shiva came to the rescue by swallowing the poison on this night and saved the people of earth from poison. 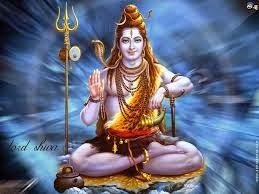 So to celebrate this occasion, they started celebrating this Maha Shivaratri on this day. There are many more stories regarding the reasons for observing this festival on this day like Goddess Parvati observing penance on this day to please and cool Lord Shiva who was performing pralaya tandava (dance) for the destruction of the whole world and another story narrating that the marriage of Lord Shiva and Parvati took place on this day. Whatever, the story behind this, this Maha Shivaratri is considered as an auspicious day and whoever keeps penance or performs puja on this night with true devotion to God is said to attain moksha by getting relieved from all sins and with no further birth. On this day, people get up early before morning and bathe in the holy waters before sunrise wherever they are in reach of holy rivers like Ganga, Jamuna, Saraswati, Godavari, Krishna, Kaveri, etc. and other holy lakes and ponds of temples. A dip in holy waters is regarded as most important on all Hindu festivals for purifying the body and soul. Wherever there is no access to such places, they may bathe in their homes and purify themselves. After taking the bath, they wear clean clothes and most of the devotees flock to the temples taking holy water, milk or green coconuts. They apply the holy ash or vermillion to their foreheads before going to temples or on reaching the temples (if the same is not kept at their homes). In the temple, the devotees perform abhisheka (the act of bathing a divine being) to the Shiva Linga by pouring the water, milk, and coconut water. Abhisheka is done with curd and ghee also. After bathing the Shiva Linga with all these holy waters, Vermillion, sandalwood powder, turmeric, and kumkum are applied to the Shiva Linga and worship with flowers and bel leaves. After worship, some special puddings, sweets, fruits, and honey are also offered to God as Naivedya. Most devotees keep fast on this whole day. They may take fruits and milk, etc. But some keep severe fast taking only water. Worship is done by chanting the panchakshara mantra " Namah Shivaya" throughout the day. During the night, they perform the Abhishek (pouring holy waters) either one time or four times with equal gaps. Throughout the whole night, they keep waking and listening to or chanting the Shiva Purana and other hymns in praise of Lord Shiva. They may watch movies also based on the stories of Lord Shiva. The Shiva Panchakshara Mantra is made up of five Sanskrit vernaculars of 'na' ma' shi' va' ya'. When it is pronounced in a combined form it is spelled as "Namah: Shivaayah" by adding 'h' in spelling ma with shi and adding another h at the end. "Om Namah Shivaya Namah" by adding the 'Omkaarnaada' which is the essence of creation and, 'Namah' as offering reverence to God. 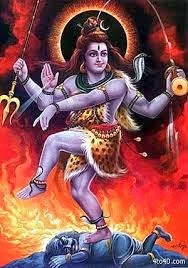 For Hindi and Telugu versions of Shiva Panchakshari lyrics and their meanings in English text, view at this link. The panchakshara slokas are based on each of the five letters in the mantra "Namah Shivaya"
It is the belief and confidence of the devotees that chanting of the Shiva Panchakshara mantra and the slokas with full faith and devotion leads them to self-realization and Moksha. The sound "om" is considered as the original sound vibrating all over the universe controlling the creation, protection, and destruction of the whole universe. "Namaha" means 'not me' or 'not I'. It tells the fact that ' I ' or 'WE' are not the performers of actions or the enjoyers of results. It signifies that God is the performer and enjoyer of each act and its result.